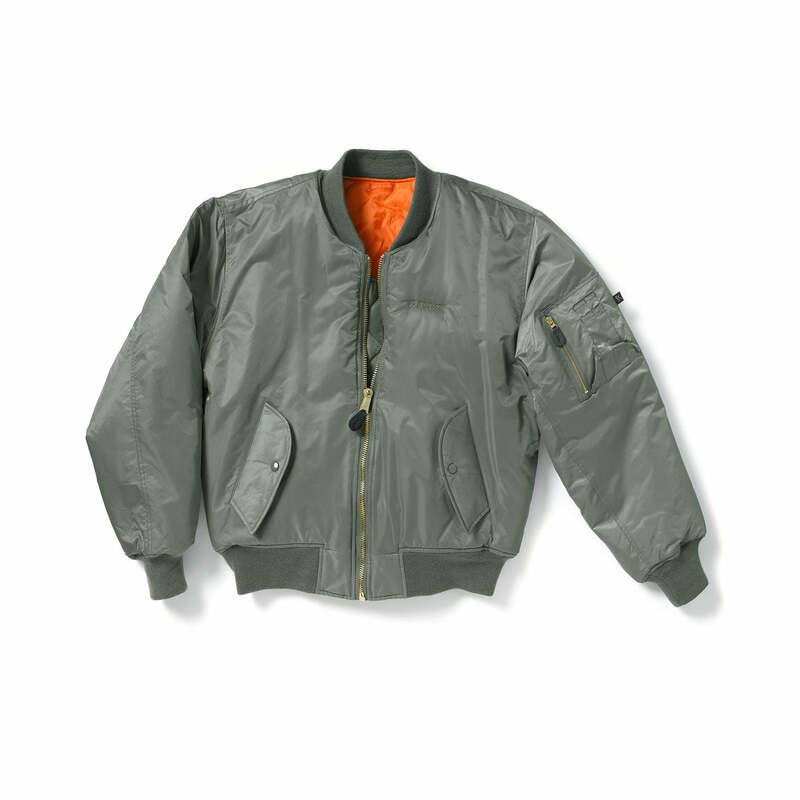 The MA-1 jacket, introduced in the 1950s, quickly became the preferred flight jacket of U.S. Air Force and Navy pilots and ground crew. In 1960, an orange lining was added so that downed pilots could use the bright color to signal for help. This updated version has an outer nylon shell with thick polyester fill for added warmth; international orange lining; and knit cuffs, collar, and waistband. It features two side snap-cover pockets on the outside, one snapped pocket on the orange side, and a zipped pocket on the sleeve. 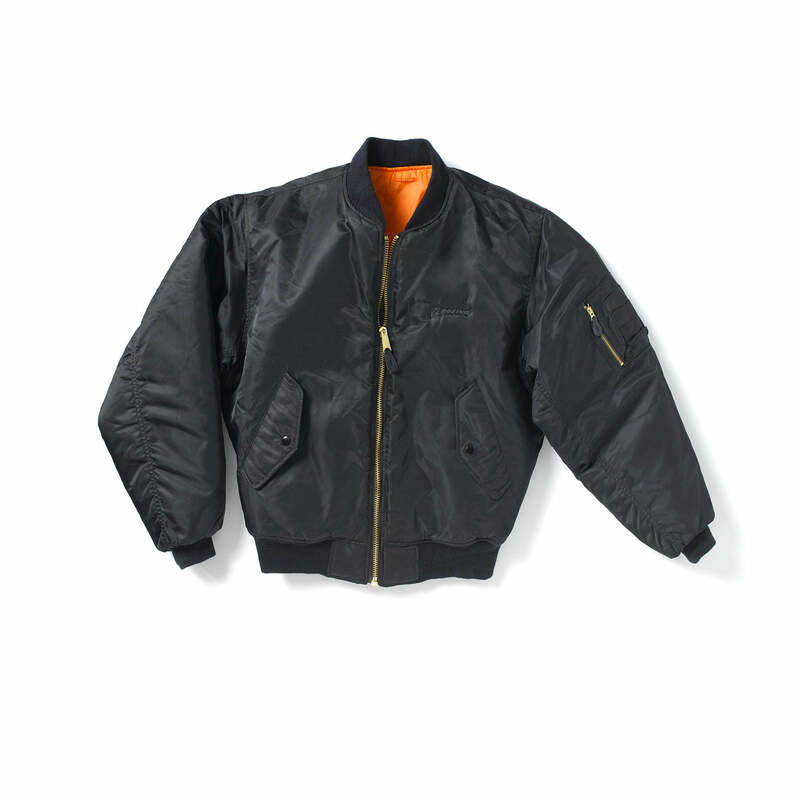 It has a heavy-duty brass zipper and topstitched seams for durability. The Boeing logo is embroidered tone-on-tone on the left chest. Imported.